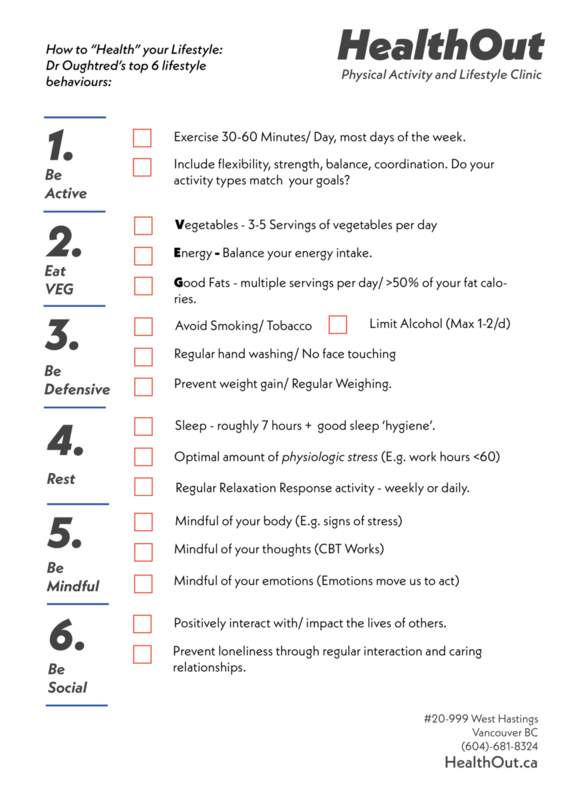 Recently, I have been speaking to local businesses about what it takes to have a healthy lifestyle - this checklist was popular, so I thought I would share it. It is inspired by my experience with many patients who have trouble prioritizing what is most important in their health plan, forgetting the “forest for the trees” and focusing too much on diets or other treatments that don’t work nearly as well as these 6 things. For a deeper explanation, please see the summary that I initially wrote on the HealthOut Blog. Click Here.